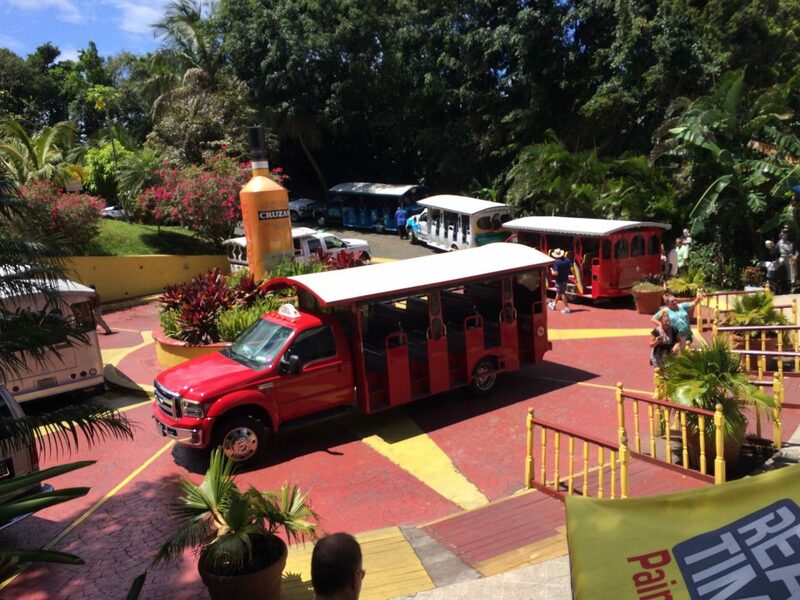 Since we have been on the subject of drinks this week, I would be remiss if I did not mention Mountain Top in St. Thomas for having the best Banana Daiquiris. The sign does not lie!! We have been on island for much of the past three years, and Mountain Top is the first place we take visitors. 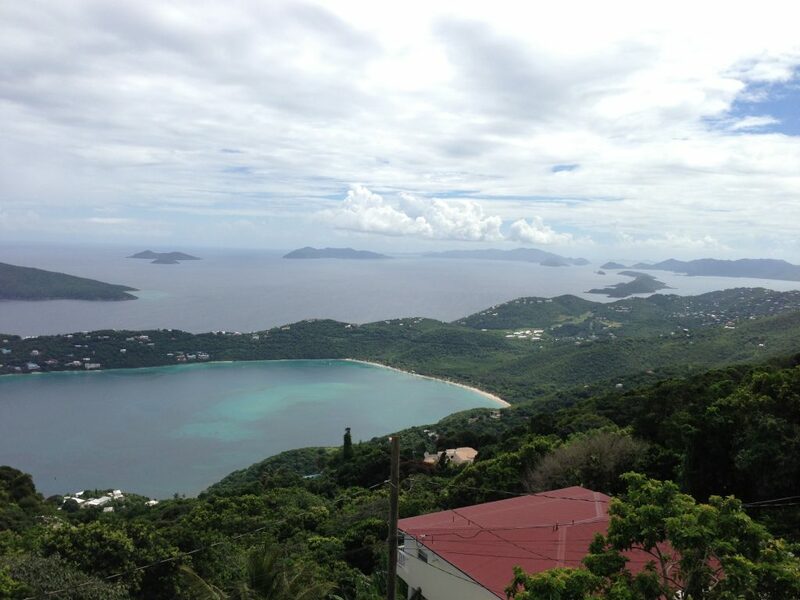 You can sip your daiquiri while experiencing some of the best views on the island. 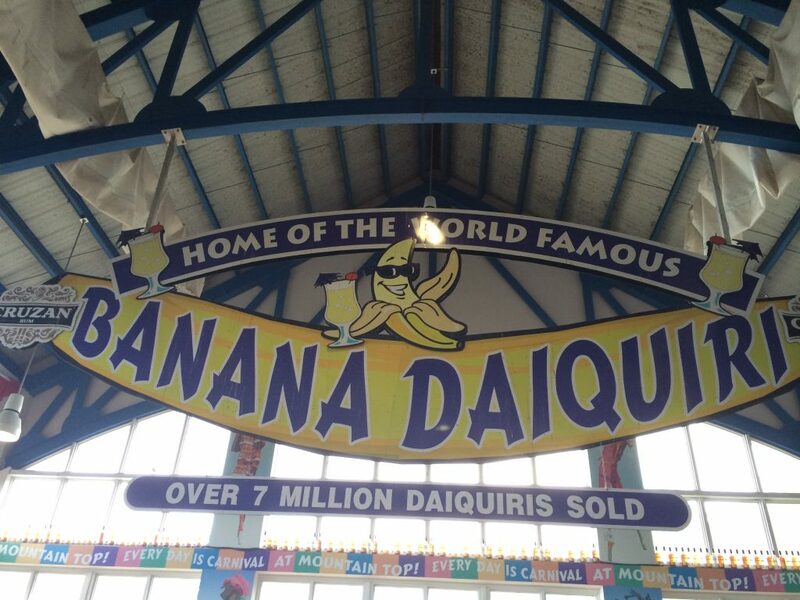 Oh yes, I would definitely like a banana daiquiri! I’ve had strawberry-banana daiquiris, but not just banana. I add bananas to all my smoothies, though, so I’m sure I’d like the taste of a banana daiquiri by itself! Alex makes the best! I’ve watched him as he blends them. He uses bananas, rum and ice. I have not seen him add anything else. And he does a rum float. Sigh…I’m going to miss them!! Mmm, that makes me want to try a strawberry & banana daiquiri! Sounds like you guys have been having a fabulous time. I’m a little envious. I better carve out some staycation time b4 summer is over.